January 25, 2019 by Laurie 18 Comments This post may contain affiliate links, which means if you click on a link and purchase something, I may earn a small commission (at no additional cost to you.) See my disclosure policy HERE. 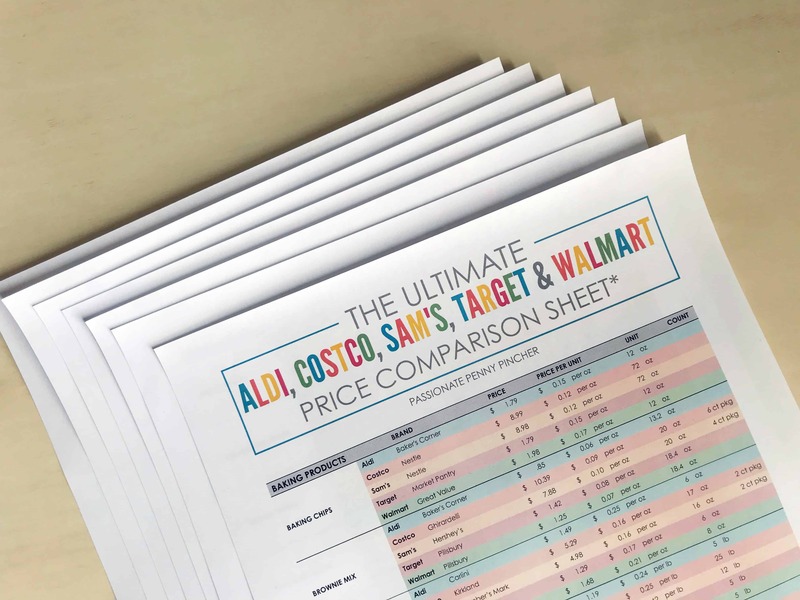 UPDATE: we *just* updated the Ultimate Aldi, Costco, Sam's, Target & Walmart Price Comparison Cheat Sheet with 2019 prices ~ go HERE to print yours! 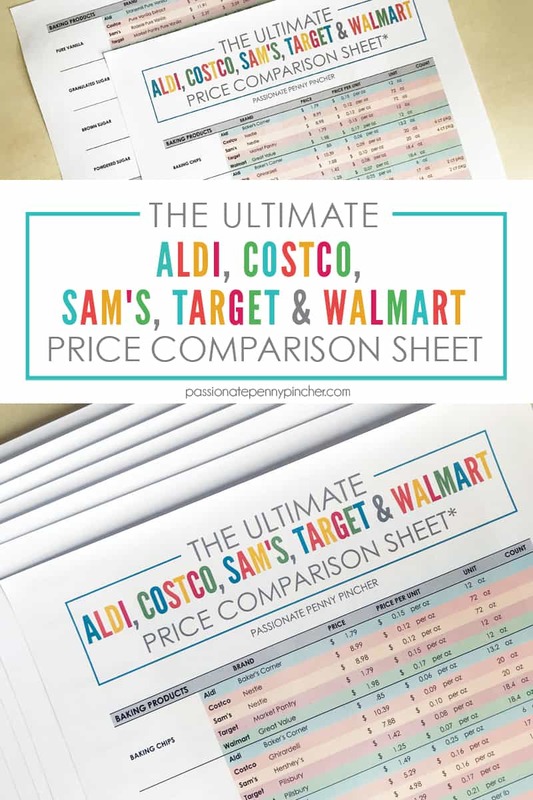 To get Aldi, Target, Walmart Comparison Sheet, go HERE and download your free PDF. I'm soooo excited to have this updated, and now all our most popular stores compared on one simple list! Check out Video over HERE! The PPP team has just updated this amazing (seriously A.M.A.Z.I.N.G.) reference guide for you to use every time you shop Aldi, Costco, Sam's, Target and Walmart. I SERIOUSLY LOVE THIS LIST ~ I'm a penny pinching dork and it just makes me happy to always know the best prices! Now, as always, pricing will vary a bit by area and your store, but this gives you a good basic starting place with an idea of what to really expect at each store. And if you're like me, I'm betting you'll be a little surprised at how the prices stack up. I never (ever?) would have expected Walmart and Target to be higher on so many items (not everything, but many things! ), so the results were pretty interesting to me. These are everyday prices on these items and don't include any special sales at all. If you can wait for a sale at Target or Walmart you'll get a better price, so this is just your starting point. We did the best we could to compare things evenly across the board. 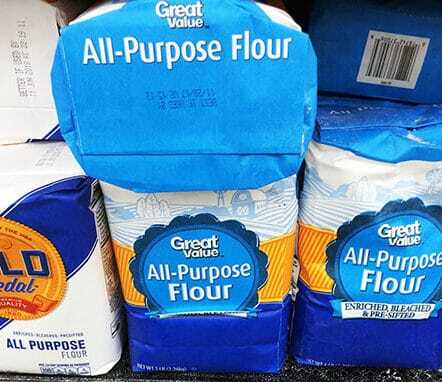 We looked at basic generic brands as much as we were able to (i.e. 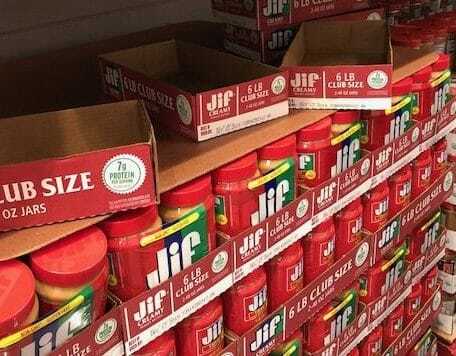 Up & Up for Target and Great Value for Walmart), and gave you the exact item name so you can compare too. 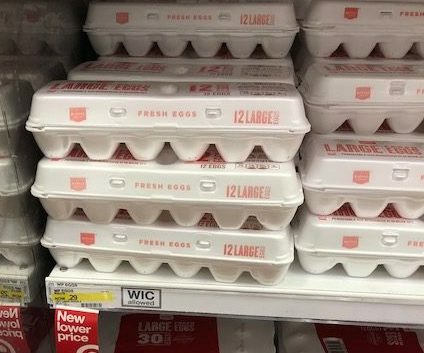 These prices were updated in the Southeast, so your pricing will vary some by store. This just gives you a handy little reference guide to get an idea of what to expect. Okie dokie ~ are you ready for it? Print yours HERE! 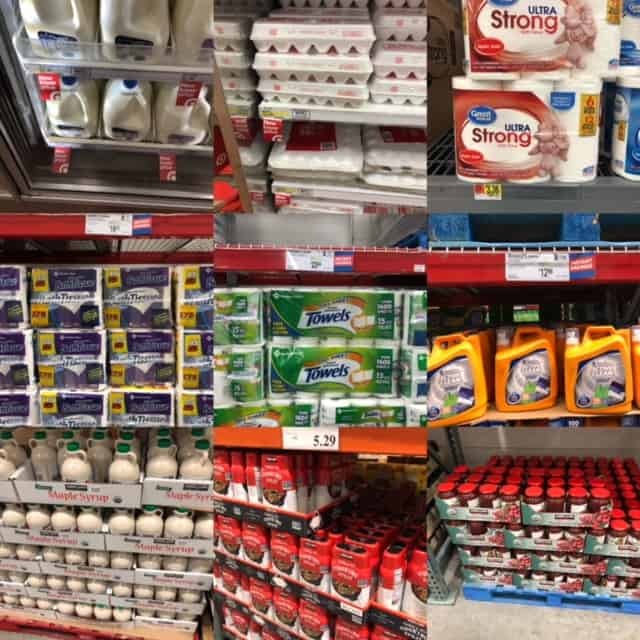 Sam's vs. Costco: Who Really Has The Best Prices? I can't wait to hear what you think on these prices and how they stack up ~ leave a comment to share your thoughts! This Ultimate Price Comparison is the best thing yet on PPP!!! Thanks so much! And here I thought I was getting a good deal…thanks for all your hard work. Could you add one thing to the bottom of the file in the * section: Prices taken on (then the date). We like the space between the brand name and the price as we put our current price for the items we purchase on our printed sheet. Blessings on you and your family! I’m so happy you made these convient list. Unfortunately the prices don’t match where I live. I live in CA so I wish you’d make the list with everything except the prices. The list I recently looked at was the price comparison sheet. We also don’t have the same store so maybe leave a line or 2 blank so we can add in our local stores. We do obviously have Costco, Sam’s & Target. Just a little thought I’d share. Have a great day. I would really love this list, but have submitted my email twice now in the last two weeks and have received nothing (yes, I’ve checked my junk folder). Am I missing something? Is there an updated version for 2019? Hi Dawn! If you could send me a quick email at contact@passionatepennypincher.com, we’ll get that sent over to you! 🙂 Have a great day! This is wonderful!! Thank you so much for your hard work and time on this list. I tried putting one together a few years ago and got so overwhelmed. Thank you for helping me save time and money!! For what state are these prices? Each state has different prices for the same stores. I have submitted my email submitted my email twice now twice and have received nothing? I checked spam,junk,trash folders but there is nothing? Can you help? Hi Sandra! If you can email us directly at contact@passionatepennypincher.com, we would be happy to send that over to you! Sorry it’s been giving you trouble!